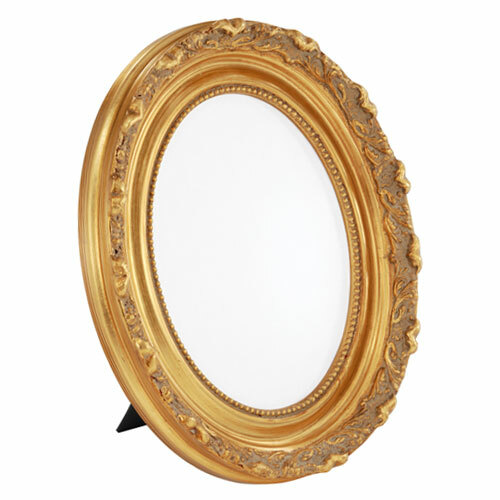 This grandly ornate tabletop oval frame is resplendent in a beautiful gold finish and generous ornament, evocative of vintage portrait presentations from the early days of photography. Please note: oval frame measurements list the maximum width and height of the frame. If you're framing a rectangular piece, the corners will need to be trimmed before installing into an oval frame.